encouraging.com: What Are You Searching For? The other day I was taking off my jewelry, and I must have pulled too hard on my ring. It flew off the end of my finger when I pulled it over my knuckle. I heard it hit the carpet. I immediately got on my hands and knees to look for my ring. I must have looked for 20 minutes before I decided to stop and try again later. After looking later, I still could not find my ring. I knew it was there, and I also knew that I would find it with continued searching. God tells us the same about wisdom and understanding. If we search for wisdom as a hidden treasure, He tells us that we will understand and find knowledge. Why do we need wisdom? We need to be able to discern truth and choose the ways of the Lord. Proverbs 2:12 reminds us that wisdom will save you from the ways of wicked men. If we don’t have wisdom, we can easily be led astray by others. God has given us His Word, but sometimes we get lazy, and we seek knowledge from others rather than search the Word for our own understanding. God does not speak to just a few. He can let you in on the secrets as well. Do you not know that your body is a temple of the Holy Spirit, who is in you, whom you have received from God? (1 Corinthians 6:19). The Counselor dwells within you. 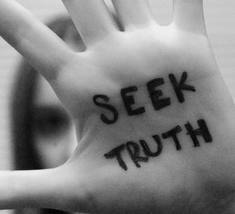 You have the power to discern truth and seek wisdom. You don’t need anyone to tell you what Scripture means or how to discern answers to your questions. God will be faithful, and he will give you wisdom if you seek it. I did find my ring. It just required a lot of searching through the carpet. What are you seeking? What do you search for like a hidden treasure? Lord, help us to earnestly seek the wisdom that comes from You and Your Word.